Is your sofa getting old? Is it full of scratches, holes and stains? Then it sounds as though it is about time it got thrown away. If you are sick and tired of putting up with an old and worn out sofa, let Go Rubbish Go. solve your problem for you. We offer a London furniture sofa disposal service that is inexpensive and easy. Why don’t you buy that new sofa you have fallen for and let us take away the old one. When you use our furniture sofa disposal services, you won’t have to worry about the procedure of getting rid of your sofa. 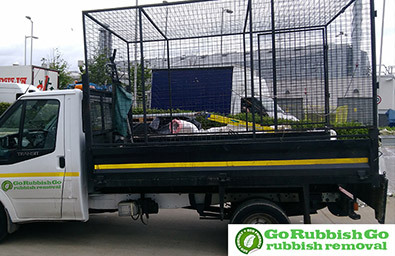 As we deal with furniture sofa disposal in London on a daily basis, we understand the procedures and so on. Therefore, we can do it in much less time than you can. When you hire us, you will not believe how great we are and how, indeed, professional we are. We try to fulfill your every need and ensure you are left a happy client. Call us for a free quote today on 020 8610 9182 and let us show you how it’s done. By using our furniture sofa disposal London service, you won’t have to worry about all the stress that comes with trying to do it yourself. We take care of all that and all the rest. Need a decent furniture sofa disposal London service that you can trust? We think we can offer what you need. If you are interested in using a professional service, we are your company in London. If you have an old and worn out sofa that needs dumping, hire us now and we can sort and deal with it. You will never have to look at that sofa. Plus, if you let us get rid of it for you, it means you can make room for the new one. Why not treat yourself and get a new sofa if that is what you really want. But what do you do when you have your old sofa left? You can’t just get rid of it like that with the click of your fingers? Well, that is where you are wrong. If you hire us for London furniture sofa removal, you can get rid of your sofa with the click of your fingers. In no time, we can have your old sofa moved out of your house or flat, and gone forever. You won’t have to see it again. Like what you hear? Call us now on 020 8610 9182 to book with us now! 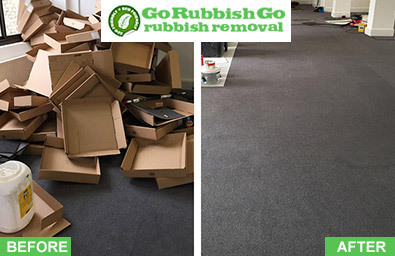 Go Rubbish Go.’s furniture sofa removal in London is not as expensive as you might think. We know that most of you are limited to a strict budget and we know few can afford to pay out a fortune for professional services in London. We can assure you now that our services are not expensive! In fact, they are more than reasonable and affordable to all – even to those on the smallest of budgets. Nobody has money to burn. If you are on a tight budget, don’t worry! With our furniture sofa disposal service, you will not have to lift a finger. You can literally let us get on with all of the work. Just call us on 020 8610 9182 today if you are keen on booking with us. We promise you will not regret hiring us. Plus, if you call now, you will get a free quote over the phone. So hire us now for London furniture sofa disposal and be prepared to be over the moon with our service, our staff and indeed, our prices!